Do you know someone with one of those fancy dSLRs that can shoot video (like the Canon 7D or 5D Mark II)? This short-list has products which will be used and greatly appreciated for a long time. I personally use every product on this list and recommended them. 1. Rode VideoMic: using the in-camera mic will cause problems. It can pick-up camera noise as well as other sounds behind the camera (namely you!) 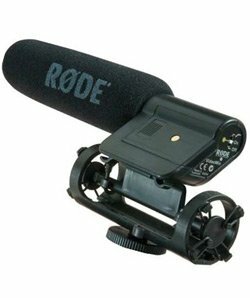 The Rode VideoMic is a professional-grade shoot-gun microphone which will isolate sound from the direction is it pointed. 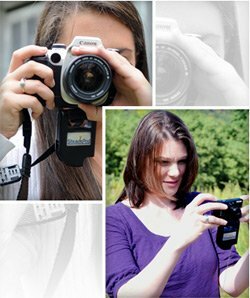 It can be attached to your camera’s hot-shoe or mounted off-camera. I used this mic when I shot the Halloween Parade in NYC. The mic eliminated all of the crowd noise (including two very gabby college co-eds standing next to me) and pulled in only sounds from the parade performers. 2. Hoodman Cinema Kit with HoodLoupe 3.0, HoodEYE 3.0 and Cinema Strap: When you are shooting video with a dSLR, the LCD screen is your only guide. But, what happens if you are shooting in bright light and can’t clearly see the screen? That’s where this Hoodman Kit comes in. The HoodLoupe is the same high quality loop used by Red Rock Micro. But, at only $115, it’s cheaper to buy direct. 3. SteadePod Camera Stabilizer: I first saw this unique product at PhotoPlus Expo. I bought it on sight and used it all day to film stills and video. The SteadePod mounts to your cameras standard 1/4? 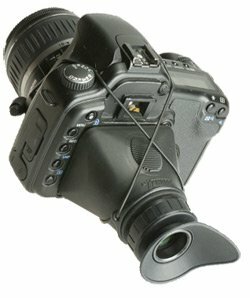 screw-mount and incorporates a lanyard system to stabilize your camera during hand-held operation. Basically, the lanyard creates enough tension to steady your camera without the need for a tripod. Just pull out enough line, lock it in place and secure it to your belt, and you are ready to go. So simple and so effective…and only $25! 4. Pinnacle Studio HD: I already have several articles about Studio HD on my blog. Yes, I really like this product. It is easy to use, has great tutorials online and produces professional results. Best yet, there is no need to convert the Canon MOV files from the 7D and 5D Mark II. Studio HD imports them directly. Studio HD works with Windows XP, Vista and 7. It is available in three editions: Studio HD, Studio HD Ultimate and Studio HD Ultiamte Collection. You can buy any of these direct from Pinnacle, and they have holiday bundles available. But, it is also available at Amazon and BestBuy. Amazon has a great deal this week! 5. 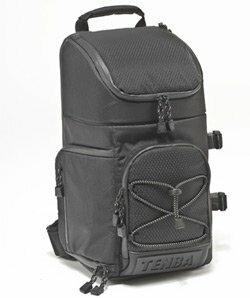 Tenba Shotout Medium Sling Bag: I have used several camera bags, but this one is by far my favorite. It is large enough to accommodate my 7D with battery grip and medium lens attached, the long Rode VideoMic, the Canon 70-200mm f/2.8 IS L, another short lens as well as miscellaneous filters, batteries, etc. Most importantly, this sling is comfortable to wear for an extended period of time. Next → Next post: Merry Christmas & Happy Holidays! Will the Rode VideoMic work on/with a Canon 7D? YES!!! I have used the Rode VideoMic with my Canon 7D on several videos. Easy to use and great sound.